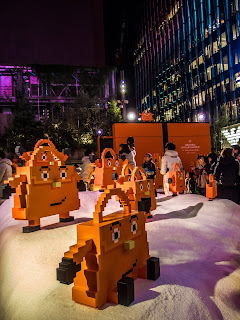 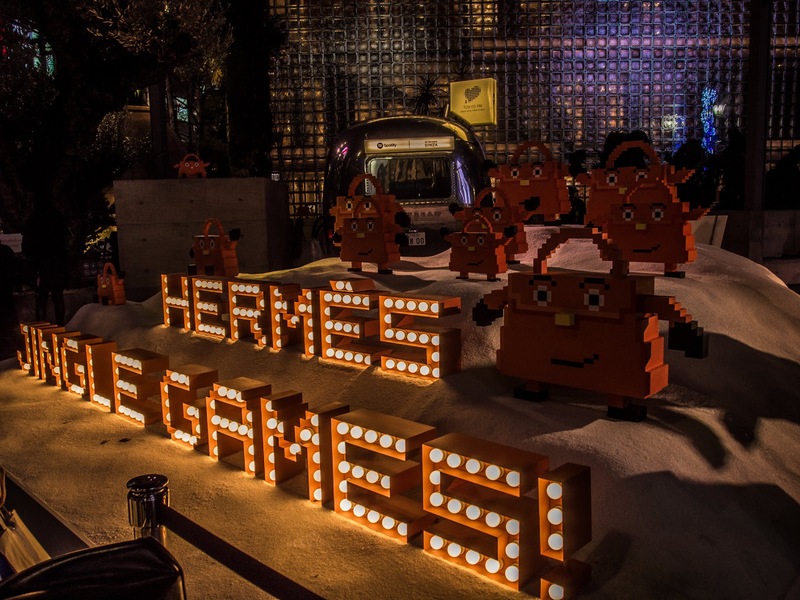 Building-sized to be precise: from a happening by Hermès in Ginza's Sony Park. 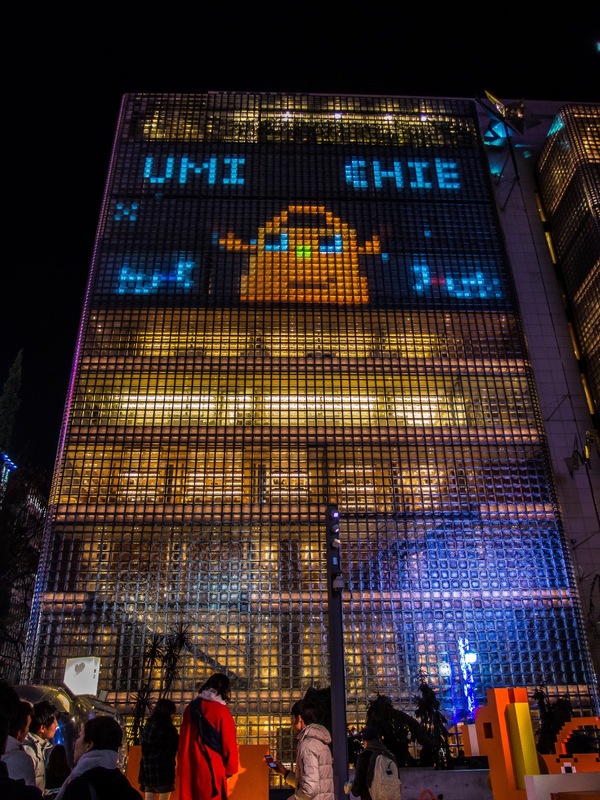 The girls playing (Umi and Chie) are standing at the orange podiums at the lower left and the building's facade was their screen. 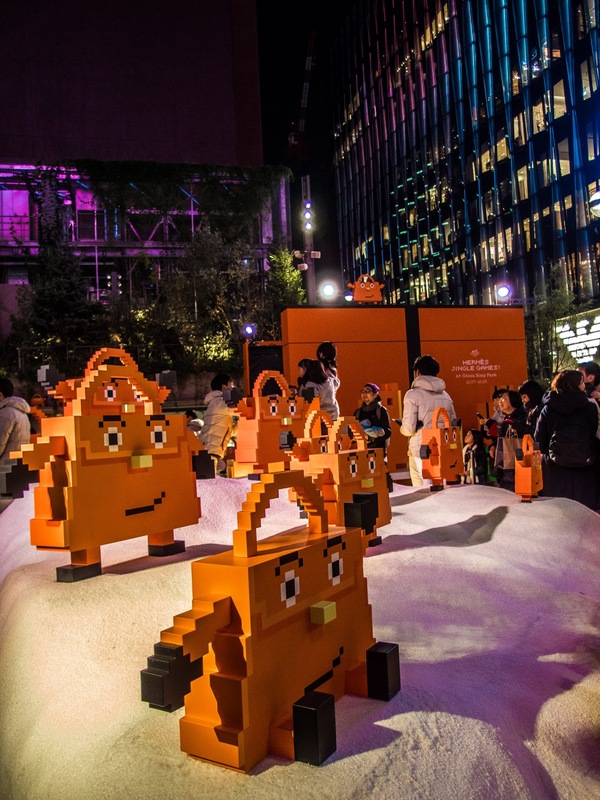 The bags were part of the decoration. 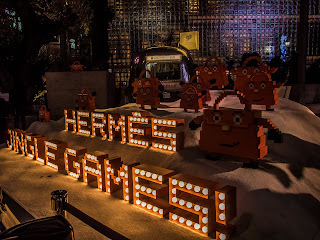 Because, Hermès.